Nassau Street Ventures invests in a broad range of venture-backed companies to build high-quality, highly-diversified venture portfolios for our investors. Here are investments made by our sibling funds, all with Princeton alumni connections, showing the type of investments Nassau Street Ventures will make. OpenInvest is a Public Benefit Corporation dedicated to using technology to bring honesty and transparency to financial services, while making socially responsible investing easy and more accessible. Co-Founder and CTO Phillip Wei graduated from Princeton with a Bachelor of Science & Engineering. Co-Investors included Abstract Ventures, Andreessen Horowitz, Lynett Capital, Silicon Valley Social Venture Fund, and Y Combinator. Humatics is pioneering microlocation technology. They offer centimeter- and millimeter-scale positioning that is faster, more precise, and affordable than any existing 3D positioning or location tracking technology on the market. Chief Operating Officer Raghav Gupta has a BSE degree from Princeton. Co-investors included Airbus Ventures, Fontinalis Partners, Intact Ventures, Lockheed Martin Ventures, and Presidio Ventures. Hillflint makes heirloom-quality college and sports logoed apparel, sold via retail and online. Woody Hines, who graduated from Princeton with a BA, co-founded the company and now serves as its Co-CEO. Co-investors included DSCN Capital and Princeton Alumni Entrepreneurs Fund. Siris Medical was founded to improve treatment delivery and outcomes for patients undergoing radiation therapy for cancer treatment. They created the first FDA 510(k) cleared AI decision support platform in radiation oncology. Chief Operating Officer Kenneth Wu graduated from Princeton with a BSE. Co-investors included DigiTx Partners, Medical Technology Venture Partner, North Shore InnoVentures. 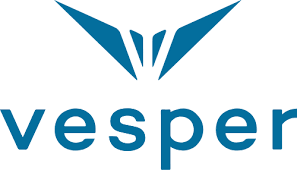 Vesper was founded in 2009, Vesper is the leader in piezoelectric micro-electro-mechanical systems (MEMS) microphones for consumer applications. The company’s superior microphone design aims to bring studio quality acoustics into handheld and IoT devices. Their microphones deliver higher signal to noise ratios (SNR), better matching and a rugged waterproof ultra-small form factor. We participated in a growth equity round that included Accomplice, American Family Ventures, and Sands Capital Ventures.